Are you wondering what Boston looked like in 1902? Do you like metal? 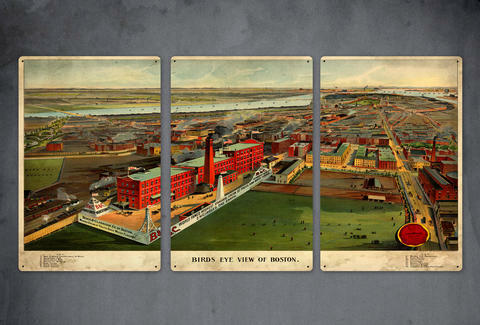 Well then you're going to freak out when you see this three panel, powder-coated metal triptych featuring a vintage map of Boston in 1902.